The Algonquin Farmers Market in Northern Illinois returns. Stop by any Thursday evening from 1 PM – 7 PM at the corners of Harrison & Washington Streets in the heart of beautiful historic downtown Algonquin. 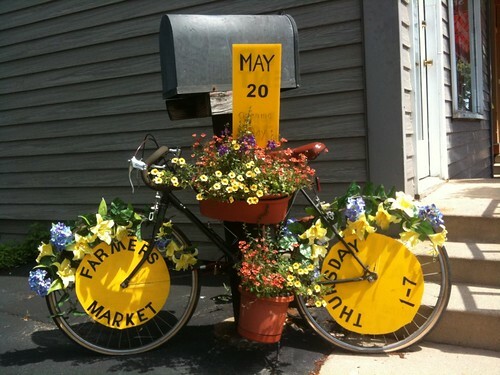 Plenty of free parking and a wide variety of vendors showcasing the best of McHenry County. The event runs now through September 30th. As a bonus, beginning July 15, walk a couple of blocks north of the Farmers Market for music along the Fox River at River Front park. Bring a lawn chair or blanket and relax with your neighbors. Clickon the image below to view this episode of “Where Are You Today?”.